Part 1: Labor at the crossroads? It was announced in 2005 at the AFL-CIO convention that a significant group of national unions, headed by the Service Employees union (SEIU), had disassociated themselves or otherwise “split” from their parent organization, the AFL-CIO. Also included were UNITE HERE, the Teamsters union, the Food and Commercial Workers union and the Carpenters union. Interestingly, this was 10 years after John Sweeney of the SEIU had led the “New Voice” team that replaced AFL-CIO head Lane Kirkland, successor to the anti-communist misleader and class collaborationist George Meany. Sweeney had promised to move forward with an aggressive plan for organizing the unorganized and turning around a long-declining membership. After his victory, Sweeney called a number of high-level meetings with women’s organizations, such as the Coalition of Labor Union Women, as well as establishment Civil Rights organizations, and met with the leadership of numerous central labor councils in different cities. The campaign was notable not only for its militancy, but the fact that most of the workforce being organized came from El Salvador and other Central American countries, as well as Mexico. The demographics of these workers meant they did not need much prodding by the top-heavy staff of SEIU in order to be convinced; the militancy and determination they exhibited was part and parcel of their own history and experience in their home countries. This was especially true of the 2005 “split,” which was based more on personalities and “turf wars,” despite claims by both Change to Win and the AFL-CIO that it was about devoting more resources to organizing. 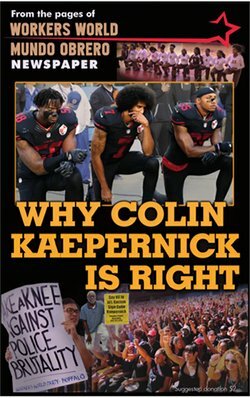 In short, there was no motivation for any of the rank-and-file workers, especially workers from oppressed nationalities, to “rally to the cause.” The issue then became one of a lack of credibility, because very few union workers at the base knew anything about what was going on. All the militant rhetoric about turning back the tide of eroding union membership, especially after the CIO merged with the AFL in 1955, lacked any political and historical analysis about the abysmal decline in both the membership and the strength of unions to mount a fight against capital. However, if the leadership of the labor movement had real political class consciousness, they would see that the answer to the decline is not difficult to find. First and foremost are the unquestioned adherence of the leadership of the labor movement to subordination to the Democratic Party and their automatic acceptance of the profit motive. Forgotten is the militant history of the unions in the CIO, which embraced the idea of sit-down strikes and picket lines in defiance of the police and court “injunctions,” and carried out broader efforts to mobilize the people of the communities to become part of the struggle, as well as their conscious effort to include oppressed workers as a unifying aspect of the struggle, which in essence meant a fight against racism. Of course, all this would have been impossible without the contribution and leadership of communist and socialist organizations, which defined the struggle as one of class. The really historic split of the CIO from the craft unions in the AFL in 1938 was something that all workers could understand and identify with. It was the time when unskilled, mass-production workers were first brought into the fold. Both the Cold War and anti-communism, with their demonization of the Soviet Union and its allies, as well as the imperialist war against People’s Korea and the threats against the People’s Republic of China, played no small part in diminishing the fight of labor against capital. The AFL and the CIO became complicit partners in purging leftists and expelling left and anti-imperialist unions from the fold, in conformity with anti-communism. In the 1960s, with few exceptions, the AFL-CIO had to play catch-up to the burgeoning Civil Rights Movement. And even in this instance, they did not mobilize or educate the white rank and file about the importance of unity and the need for solidarity with the African-American masses. 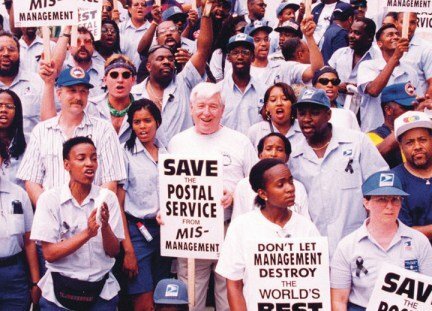 That said, there have also been some noticeable and stalwart exceptions to “business as usual.” There was the 1970 walkout of 200,000 postal workers that started in New York and spread to other cities, in which Nixon was forced to call in the National Guard in order to move the mail. This was followed by a rank-and-file walkout of autoworkers in Lordstown, Ohio, against speedup and forced overtime in 1972. The rise of the Detroit Revolutionary Union Movement and the League of Revolutionary Black Workers beginning in 1968 was a reaction to the colorblindness of the United Auto Workers, which had allowed the auto bosses to keep Black workers in the lowest and most dangerous job classifications. These movements were of critical importance in the development of Black Power and the right of oppressed nations to self-determination. More recently, the struggle of the Boston School Bus Drivers should instill in revolutionary socialists the determination that there should never be a wall between class struggle unionism and the struggle for self-determination of oppressed nations. There is no contradiction between supporting independent movements for liberation and self-determination, and the unity of the working-class movement. This is also true whether it involves rank-and-file UAW support for auto workers in Colombia against General Motors, or visits by North American trade unionists, be they rank and file or leaders, to Cuba to see how labor unions operate under socialism, or the struggle for $15 an hour. Let’s get involved with the central labor councils, when and where we can, to unite the movement against racism and special oppression with the workers’ movement.